If there is a single person out there that can claim that they have zero stress in their life, I would like to meet them (and quite possibly tell them that they're delusional). However, while the concept of stress has a negative connotation, in actuality it might not always be a bad thing. For instance, the stress of preparing and planning for a job interview, first date, wedding day, first day home with baby, and more may initially be strenuous, but can end up providing all sorts of learning opportunities and wonderful experiences. After all, we get through even the most stressful situations and come out having learned from them and hopefully having had love and support from our friends and family, right? Playing calming music — whether you prefer classical, sounds of nature or more — actually lowers blood pressure and reduces cortisol, a hormone linked to stress. So, if you are in the midst of a situation that is stressful, such as studying for a big test or completing a large project, taking a break to listen to relaxing music can help clear your head and put everything into perspective. For those of us who work through stress by talking it out and getting another person's opinion, calling a friend or family member when you're overwhelmed is a great option. Getting the reassurance of someone that you trust that your situation will work out can be just what you need to see the bright side and feel better. On the other hand, for those of us who prefer to work through stress on our own (or simply don't have the option of calling a friend or family member at all times), calmly talking yourself through a situation can work just as well. I have used the phrase It'll be over before you know it for as long as I can remember, whether to calm my nerves at the start of a track meet or in sitting down to a final exam. And you know what? Every one of those situations passed and life continued on just fine! For an extra boost, don't forget laughter! Whether you are talking with a friend or yourself, laughter releases endorphins that are proven to improve mood and lower levels of cortisol. Essentially if you can get your brain to laugh (jokes, YouTube videos, a funny book, etc), you'll be tricking your nervous system into making the rest of you happy as well! 3. Take a Soothing Bath... Bonus Points for Adding In a Scalp Massage! Whether it reminds us of our time in the womb or if it's simply because water is soothing, taking a soak has a calming effect for just about everyone. Even better, while you're filling your tub with hot water, add in some bath oils or bubbles and light a candle or two and you'll be even more prepared for a bit of peace and quiet in a spa-like atmosphere. Plus, everyone enjoys getting their hair shampooed at the salon due to the awesome head and scalp massage that comes with it, right? Big Sister E has been hooked ever since her first salon haircut! Having the same experience at home is never quite the same, but can still help relieve stress — so use your fingers to rub, rub, rub and massage all areas of your scalp and feel your worries drift away. Considering my laziness, sometimes I feel as though I'm the last person that should be promoting exercise. However, it is important to remember that getting exercise doesn't necessarily mean having to suit up and go for a 10 mile run or head to the gym for hours lifting weights. Instead, I try to remind myself to get up and stretch and take a short walk around every now and again — but especially when I'm feeling stressed. If the weather and your situation permits, try to head outside for a 5-minute stroll around the block or just to walk up and down the sidewalk a few times. You'll get your blood moving, release endorphins and the sunshine combined with the movement is nearly guaranteed to make you smile! We have all heard that a lack of sleep can cause stress and that stress can make it difficult to get enough sleep. But once you're caught in the cycle, how do you break out? Simply making it a point to get to bed earlier is a good first step, followed by eliminating nightly screen time (guilty!) by turning off the television or putting down your phone. Looking for another way to help get better sleep? 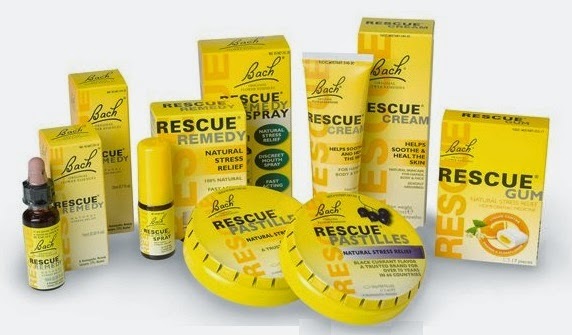 Then check out RESCUE Remedy products! 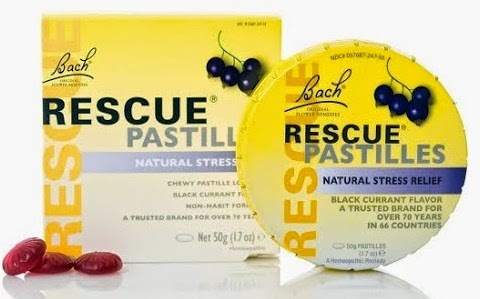 Available in a variety of forms — Pastilles, Pearls, Liquid Melts, and more — RESCUE products provide gentle, non-habit-forming every day stress relief. Each variety was developed by a doctor, is gentle and safe, is non-habit-forming (no side effects), and has been trusted for generations (and used by millions worldwide) to help people stress less, stay calm and stay in control. Whether you need stress relief when you're on-the-go or help calming your mind so that you can fall asleep naturally, there is a RESCUE product for just about any situation. Want to check them out? RESCUE stress relief products are available now at CVS, Walgreens, Whole Foods, Sprouts, and other natural products retailers... and you can save money now by downloading this great BOGO coupon before you shop! 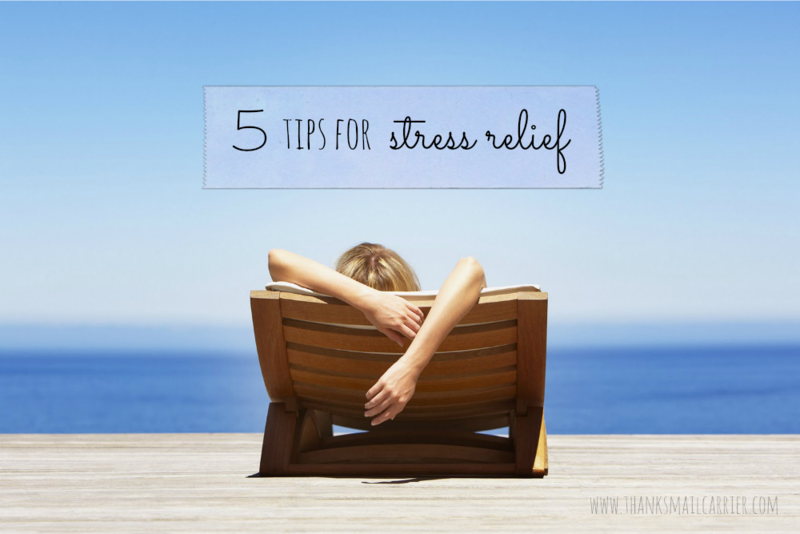 Stress is unavoidable, but that doesn't mean that it isn't manageable! Just find whatever strategies work best for you and you'll be on your way to reducing the amount of tension and strain in your life. I've been learning more often to relieve stress through exercise - I always feel better afterwards. Endorphins + a sense of healthy accomplishment. I make sure to get a good night's rest because if I do not get enough sleep then I am cranky. I have not heard of these products and would love to try them if I find myself having a sleepless night!